"Even amateurs must try to develop a reasonable command of joseki. Fortunately, even though there are approximately 20,000 of these sequences, the most frequent only number about 300. Learning these fundamental variations is not unduly burdonsome and is essential for advancing as well as for enjoying Go." So what are the 300? Blake: My money is on the 3-3 Point Invasion, the 4-4 Point low approach simple pincers and extensions, the 3-4 point low approach simple pincers and extensions, along with some variations of the taisha. I think, with the variations available, these alone would count as nearly 300 joseki. Bill: When Yang talks about 20,000 sequences, he is talking about fewer joseki, because each joseki will have different sequences. He is also referring to the 300 most frequent ones. They are going to appear in the game records of recent title matches. That's a good place to look for them. Thad: Here are the openings of two recent pro games. 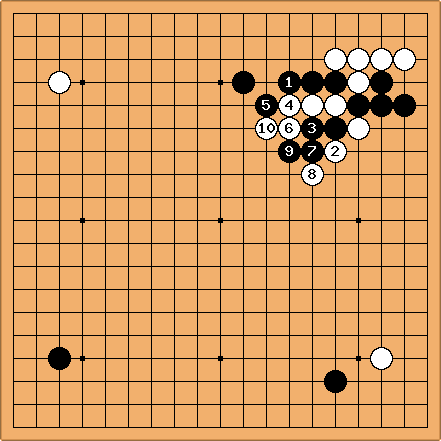 You wouldn't want to learn joseki by studying the upper left corner of the 1st game, or the 3 space high pincer/taisha variant in the second game. Would you? 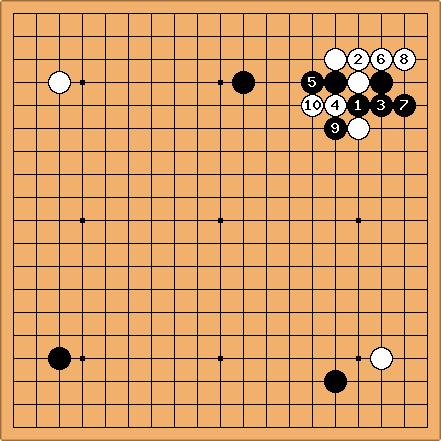 Bill: Certainly the joseki sequence in the top left corner of the first game is in the 300 most frequent sequences. The taisha variation is probably not. (Clue: It's long.) As for studying both, why not? 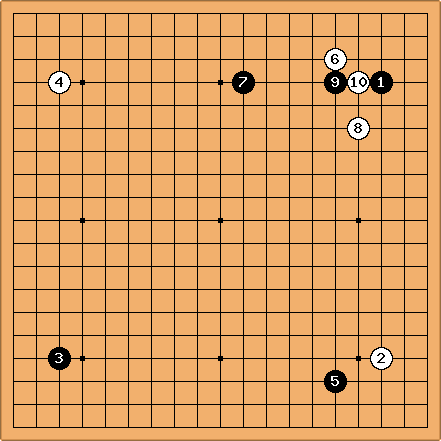 What does it mean to learn joseki? Just memorization? 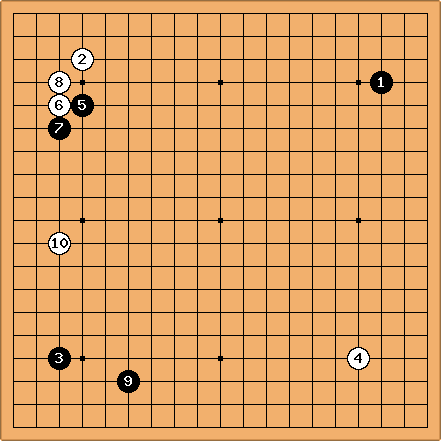 Velobici: The tenuki variations of the upper left corner of the first game are covered, in part, in 38 Basic Joseki and the descent at 17 in the taisha is the variation that Mr Yang prefers. Perhaps the answer is yes, you would and should. Charles The highest-level games may create some new joseki. But by their nature they don't tell you the most orthodox plays. Try a database.